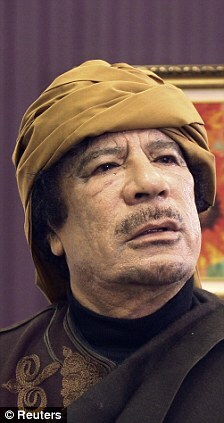 Barack Obama says U.S. involvement in Libya is now so limited that he’s got no worries about action against leader Colonel Gaddafi becoming illegal. The President did not explicitly ask Congress to authorise the action he ordered in March to protect Libyan civilians - as his critics say is demanded by a 1973 Act. Mr Obama said Congress's authority was not needed under the U.S. War Powers Act - but did state that the mission would benefit from its support. 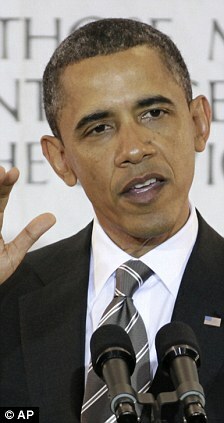 ‘I wish to express my support for the bipartisan resolution,’ Mr Obama said. ‘(It) would confirm that the Congress supports the U.S. mission in Libya and that both branches are united in their commitment,’ he wrote in a letter to top lawmakers. 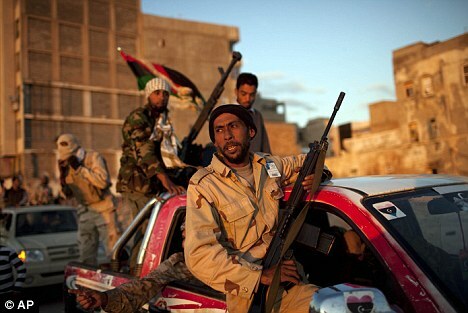 Obama notified Congress on March 21 that he had ordered military action against Libya as part of a multinational coalition. That made Friday the 60-day deadline to seek congressional authority for the action under the War Powers Act. But the White House indicated it did not view the current level of U.S. military involvement in Libya as reaching that threshold. ‘This is a narrow U.S. effort that's intermittent and is principally to support the ongoing NATO-led and U.N. authorized mission,’ a White House spokesman said. The Senate last month blocked a vote on a proposal by first-term Republican senator Rand Paul to reaffirm the constitutional authority of Congress to declare war. Since March, NATO allies including France, Britain and the U.S. have conducted a campaign of air strikes to shield civilians from Gaddafi's forces. Mr Obama, who has ruled out putting U.S. troops on the ground in Libya, said on Thursday that it was inevitable Gaddafi would have to leave power. In the letter to lawmakers, the President said NATO was now taking the lead against Gaddafi loyalists but that U.S. involvement remained critical to protecting Libyan civilians. He also said congressional action to support the mission would be a valuable illustration of U.S. commitment, while nodding toward the constitutional issue raised by the 60-day War Powers Act deadline. ‘Such a resolution is also important in the context of our constitutional framework, as it would demonstrate a unity of purpose among the political branches on this important national security matter,’ Mr Obama said.